Jackson Kayak have two new whitewater kayaks being showcased next week at the Outdoor Retailer show, the Nirvana and the Antix. 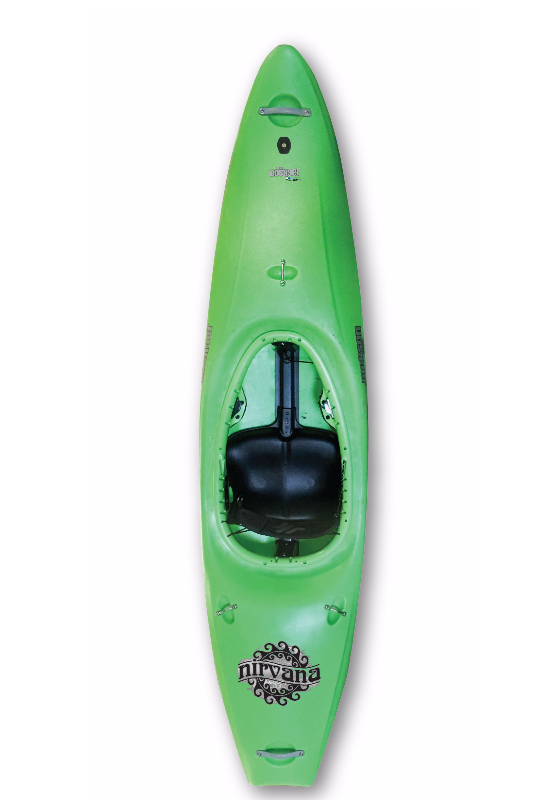 First up is the Nirvana, a race ready 9ft kayak that has much in common with the Zen. Jackson Kayak’s Nirvana is a fast, race-ready creeking boat designed to move kayakers through rapids quickly and in control. The hull shares much of the Zen’s user-friendliness while the massive amount of rocker keeps the bow dry and clear of holes and waves. Racers will be delighted to paddle such a user-friendly and confidence-inspiring design in the 9-foot category. If you just want a river running/creek boat that has a high-end speed in the rapids but don’t plan on racing, the Nirvana won’t disappoint! User-friendly hull shape allows racers to focus on their line and going fast versus just trying to keep the boat under control. Ample stability to eliminate unwanted bracing and increase forward paddling time. Unishock Bulkhead for easy adjustment (get super-tight for a race, or stay loose for a cruise) and for safety. Rocker profile allows for both a fast boat in pools and easy boofing. The Nirvana will be available at Jackson Kayak dealers in 2017. Manufacturer suggested retail price is $1,249.